There’s a lot that makes Google’s Accelerated Mobile Pages (AMP) platform tick, but the end result is a faster web: AMP-enabled pages load much quicker than regular, non-AMP pages. The only problem is that AMP doesn’t afford a lot of creativity — pages are uniformly lightweight and bare bones. But a new feature, AMP Stories, aims to fix that. AMP Stories bring visual and interactive elements to AMP-enabled pages. 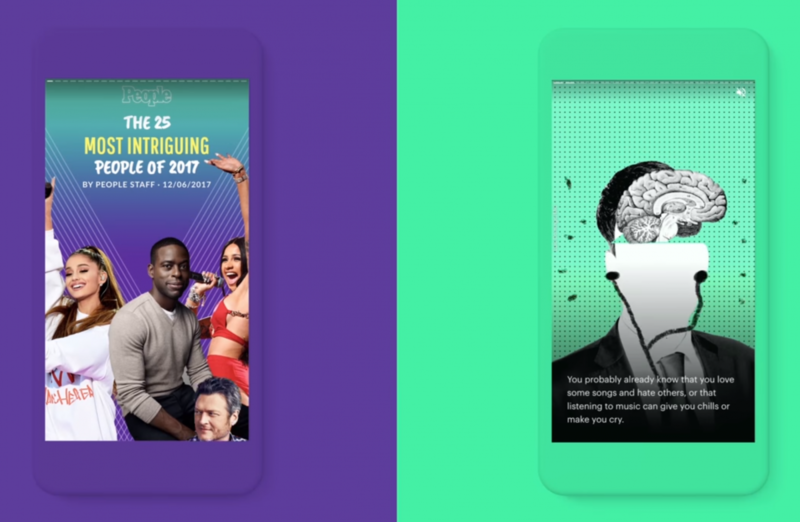 They appear in Google Search as Snapchat Stories-like carousels of content including top-10 lists, moving images, and other “visually rich [ways] of storytelling”, Google says. Unlike traditional AMP pages, they’re cross-platform — Stories can be viewed on laptops and desktops in addition to smartphones. Creating these types of visual storytelling experiences has been rather difficult using the core AMP framework. Google wants to help make it easier for new and small developers with a developer preview for AMP Stories that is being launched today. Those who are interested can check out the tutorial for the project here and the documentation published here. In addition to AMP Stories, Google announced it is bringing AMP technology to Gmail in an attempt to make emails more interactive and engaging. Starting with the Gmail Developer Preview of AMP for Email today, the new feature will allow users to perform simple tasks such as booking calendar appointments and checking into flights directly within the layout of the email.